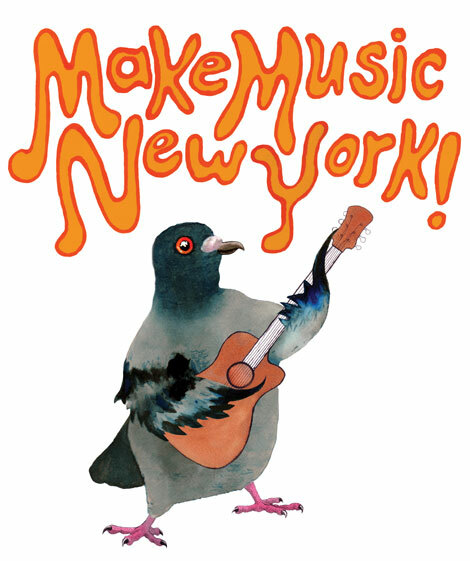 Make Music New York is a one day festival of 850 concerts in parks and the streets of New York City. The music will be performed by anyone that wants to take part and is free for anyone to attend. Make Music New York will be one of the largest musical events in history and is coordinated with 300 other similar events worldwide. Featured performers include jazz pianist Randy Weston, French tennis player-turnedpop star Yannick Noah, Arturo O’Farrill’s Afro-Latin Jazz Orchestra, and punk legends Reagan Youth. Punk Island which feature’s 70 punk bands performing on Governor’s Island is also part of the festival. For more information about the festival visit Make Music New York .